Staging a House to Sell – Tips for Success! Staging a house to sell is one of the keys to a successful transaction. You wouldn’t go to a party without wearing your best, and you won’t want your home to be in front of potential buyers without maximizing its appeal. You may think it will cost too much to stage your home, but the truth is that there any many things you can do that cost little or no money at all. Let’s take a closer look at staging your home. How do I build curb appeal when staging a house to sell? Is it true that kitchens sell homes? How can I stage the bathroom? 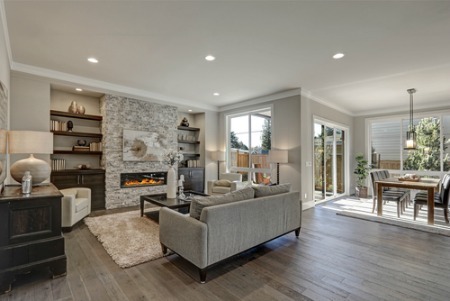 What about staging living rooms? How do I keep things show ready? Grab the attention of potential home buyers before they pull into the driveway. You get one chance to make a first impression, and you want them to be so impressed that they can’t wait to see what’s inside your home. Your lawn should be maintained and have no potential hazards. This means you may need to fill in holes and remove things that may cause someone to trip. Store tools and riding toys. Keep décor to a minimum. You may love the flock of plastic birds on the lawn, but a potential home buyer may not share your appreciation. Paint the door a welcoming color and place a vibrant plant near the entrance. If you have entertainment areas outside, place furniture in conversational settings. It’s no exaggeration that kitchens play a vital role in the selling a house. Kitchens are often at the top of a buyer’s wish list and many buyers have specific things they are looking for when it comes to a space they feel fits their lifestyle. While you can’t be all things to all buyers, there are things you can do to maximize the potential of your kitchen. Check with your real estate agent to see if upgrading appliances is something you should consider. This may be an expense that makes sense if it increases value or makes the kitchen more appealing to a wider range of buyers. Organize all cabinets, drawers, and pantries. When it comes to kitchen themes, you’ll want to remove most themed items and keep things neutral. The kitchen table should make sense for the size of the room. Using an accent rug can bring attention to that area and create the illusion of a unique space when you have an eat-in kitchen. Bathrooms also get a great deal of attention from buyers. There’s no need to overdo things in these rooms, but there are some steps to making the space more appealing. Remove large hampers and trash cans that can make the room look smaller. Aside from making the room smaller, a clothes hamper can create a smell that is less than pleasant. Keep things neutral when it comes to paint colors and décor. Consider adding a new shower curtain and fresh hand towels. Place a fresh bottle of hand soap by the sink and remove all personal care items. Use pops of color to create interest. Check with your real estate agent for ideas they may have based on their past experience with buyers in the area. You want potential buyers to see the living spaces in your house as a backdrop for their lifestyle. For this reason, you’ll want to remove all personal photos, collections, and anything that a buyer may find controversial. Your goal is for the room to be neutral, inviting, and appealing to a broad range of potential buyers. Place living room furniture away from walls and remove any pieces that are oversized and make the room look small. Maximize natural lighting by keeping windows free of items that may block the view and decrease light. If you have bookshelves, you want to make them look clean and spacious. Do this by adding only a select few books and pieces of well-chosen décor. Less is more when it comes to shelves and décor. 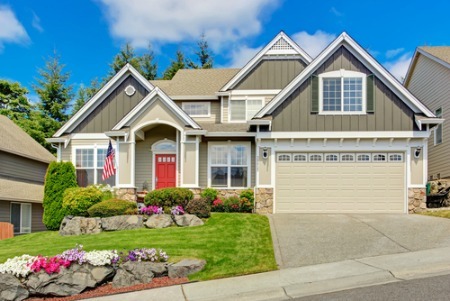 You’ll want a solid plan for keeping things neat and ready for open houses and showings. Create a daily task list that includes spot cleaning and picking up things that tend to get tossed on a table or piece of furniture during the course of the day. Create a game for small children that helps them have fun when cleaning up toys in a hurry. You never know when an unexpected buyer may be coming for a visit, and you want things to be as show ready as possible for the duration of your listing. Staging a House to Sell - Tips for Success! You may think it will cost too much to stage your home, but the truth is that there any many things you can do that cost little or no money at all. Let’s take a closer look at staging your home to sell.